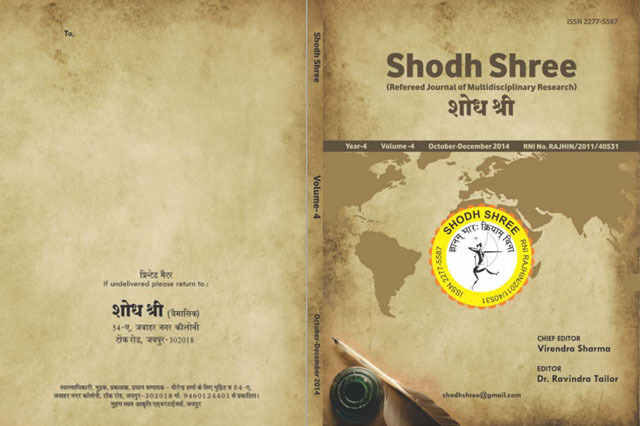 'Shodh Shree' is an international, multidisciplinary, bilingual, quarterly referred and indexed research journal. Research is a continuous intellectual process of mind. It is helpful to purify our knowledge and evoke the ultimate level of wisdom. 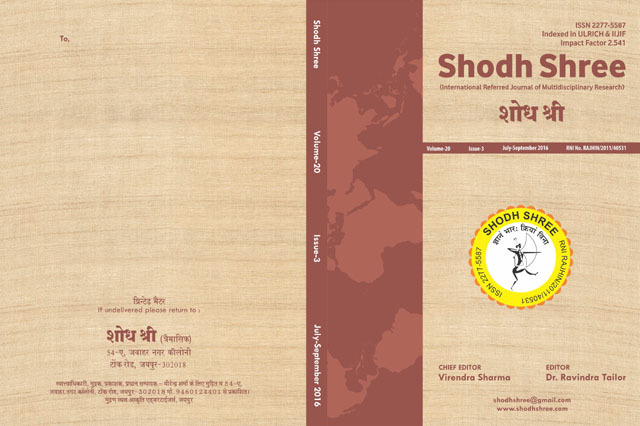 ‘Shodh Shree’ is an international, multidisciplinary, bilingual, quarterly referred and indexed research journal that provides a platform for publication of substantial and original research papers, articles and reviews which focus on international and national issues, management, language, art, education, science, commerce, culture and other relevant aspects of society. 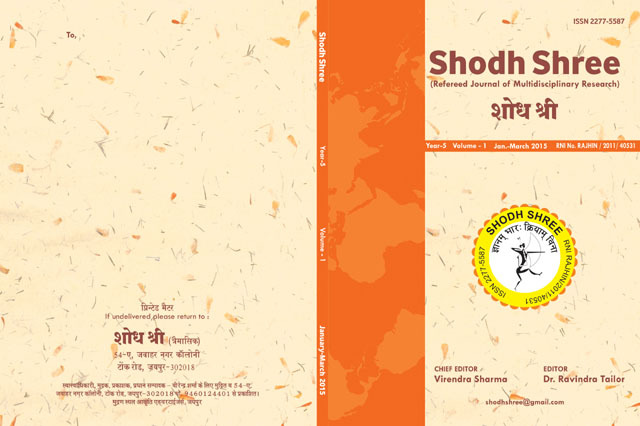 Shodh Shree has been publishing since 2011 to provide help in raising the standard and quality of research. 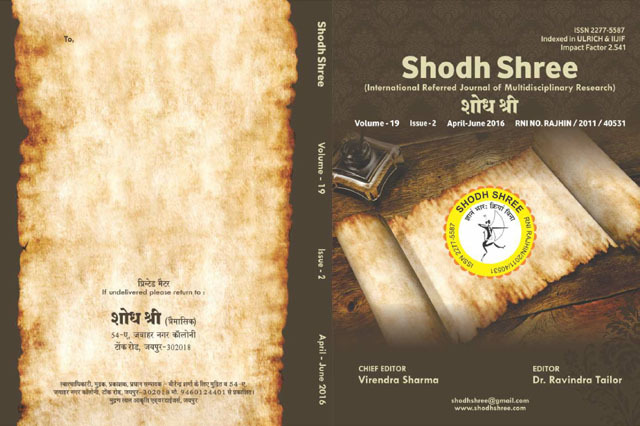 Research Papers published in Shodh shree is being considered for Research purpose by various Research Agencies, Research scholars and various Universities in India and Abroad. Contributors are requested to Maintain the level of Quality and Authenticity of Research papers as well as References mention in Research Papers before sending for publication Purpose. We invite scholars to accompany with us so that they get a better platform to show and prove themselves with their un-tapped, under and unutilized assets of research work.